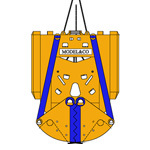 Diaphragm Wall mechanical grabs (rope grab) are suitable for all kind of soil, specially the heaviest ones, that can dig in rocky soil achieving equal or higher production rates than hydraulic grabs. 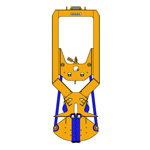 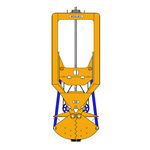 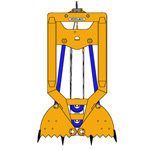 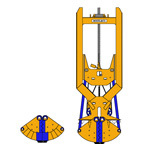 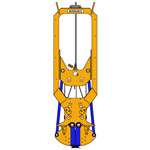 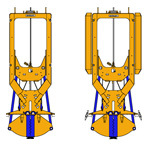 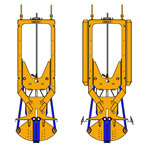 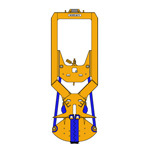 Mechanical grab design is very sturdy and very simple for maintenance, thus the result of use being very profitable. 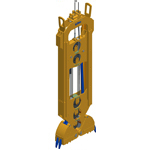 All MODEL&CO rope grabs fit pulleys with oil bathed shaft and sealed by mechanical seals, so as to guarantee long life of pulleys even under the heaviest working duty with drilling muds.